Tired of having your classroom library disappear because you send your students home with books to practice reading? KEEP BOOKS are an inexpensive and invaluable way to promote literacy in your classroom!! 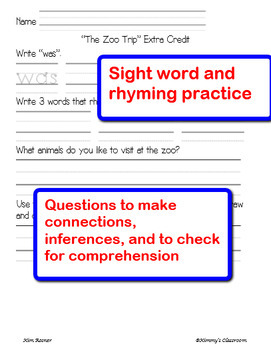 The Ohio State University developed these books as a way to enhance home/school literacy connections. I encourage my students to decorate a special box at home to put the KEEP BOOKS in after we work on them for the week. At the end of the year, the children feel proud of their tremendous reading accomplishments! This packet DOES NOT include the KEEP BOOKS. 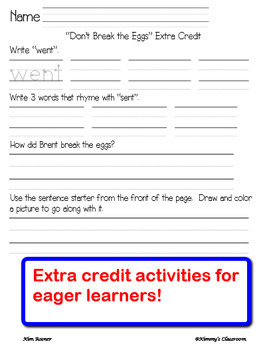 It provides two pages of Common Core aligned activities for each book. There is absolutely no preparation for you except to print out the pages and hand them out with the book! 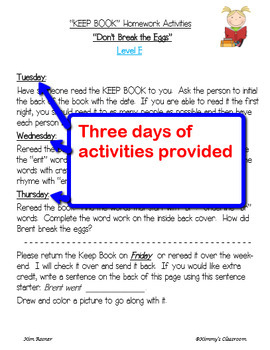 I hope you enjoy using KEEP BOOKS as much as I do – I find them so easy to implement into my weekly homework! And that’s one thing we could all use – something that’s easy, yet so irreplaceable!